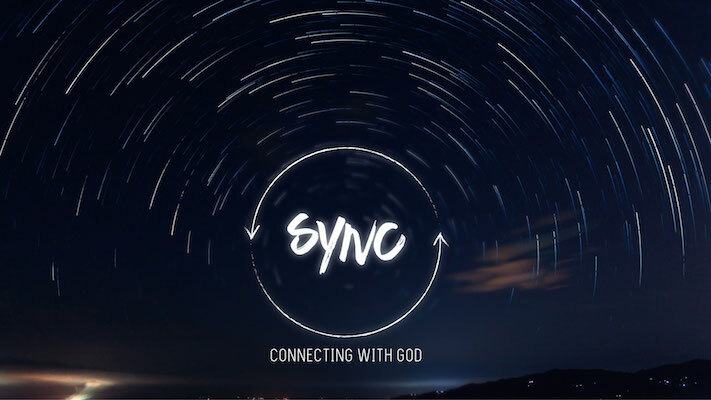 We've got 2 weeks of the session left - it'll be done as we wrap up the SYNC series. Make sure to let the group know, and plan accordingly! Don't miss out on the chance to plan something (or have someone else plan it) in December! It's the perfect time of year to do a Christmas party, Secret Santa... something fun! What are you most thankful for in your life right now? Even though the idea of prayer isn't foreign in our world, it's definitely not clear. With so many confusing and conflicting examples of prayer around us, Mike took us back to Jesus' teaching on how to pray. His words point us to lives of prayer that aren't for show, and actually point us to a loving God on the other end. He opens up the door for us to enjoy real connection with God through prayer. Growing up, what were (or weren't) you taught about prayer? How does that affect how you approach prayer now? “When you pray, don’t be like the hypocrites who love to pray publicly on street corners and in the synagogues where everyone can see them. I tell you the truth, that is all the reward they will ever get. 6 But when you pray, go away by yourself, shut the door behind you, and pray to your Father in private. Then your Father, who sees everything, will reward you. What stands out to you the most about how Jesus talks about prayer? What challenges your own views or assumptions about prayer? What parts of Jesus' prayer are absent from your normal prayers? What parts are hard or unlikely for you to include when you pray? Mike said that to understand prayer, our picture of God really matters. In general, what kinds of connections can you see between pictures of God and a person's understanding of prayer? What about in your own life? Mike said that prayer can sometimes be approached as magic, making demands, a hopeful guarantee against hard times, or an opportunity to show off. Have you ever found yourself approaching prayer in one of those ways? Which are you most likely to find yourself doing? Mike said that prayer is seeking relationship and connection with God. Have you experienced prayer in that way? What would have to change about how you pray to make that your goal? Which of these do you think would help you connect with God in this season of your life? Which do you need to focus on this week? Our Father in Heaven, You are good and You are great, and I need You. Give me the courage and the wisdom to step toward you in prayer. I don't need to be fear-filled or anxious; instead, I want to cast my worries on you because you are gracious. You're not angry, you're not tired of me. You love me and have nothing but patience and kindness for me. Grow me in this area and help me connect with you in a new and refreshing way. Write down your own prayer. Think about the season of life you're in right now. Using the prayer Jesus taught us as a "template", write down a prayer that is specific to the biggest things going on in your life right now. Maybe there's a scary season ahead. Maybe your life is finally coming together and you're filled with joy. Whatever is going on, write down a prayer that speaks to what you're experiencing, and how you want God to show up in the middle of it all. Then make sure to keep it somewhere that you can look back on later! 14 “If you forgive those who sin against you, your heavenly Father will forgive you.15 But if you refuse to forgive others, your Father will not forgive your sins.